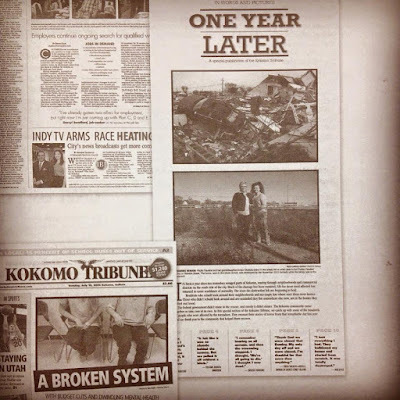 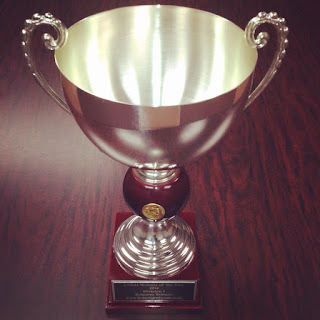 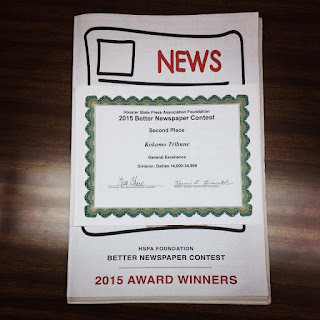 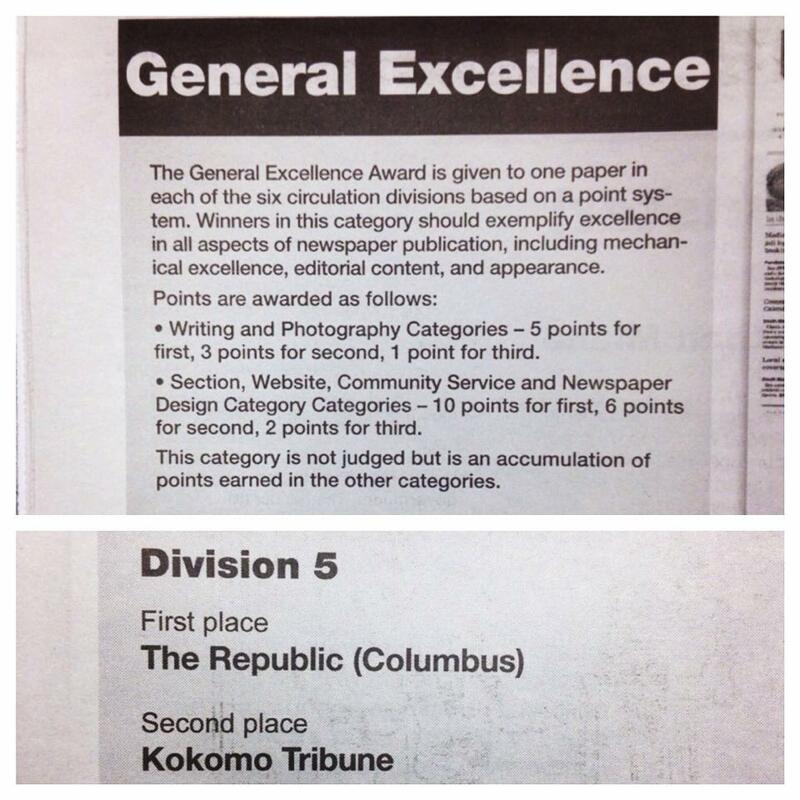 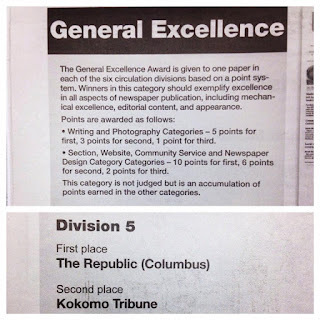 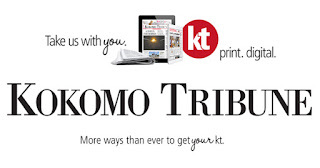 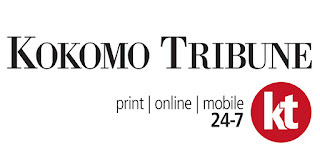 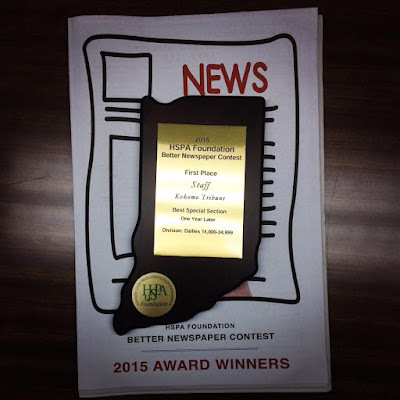 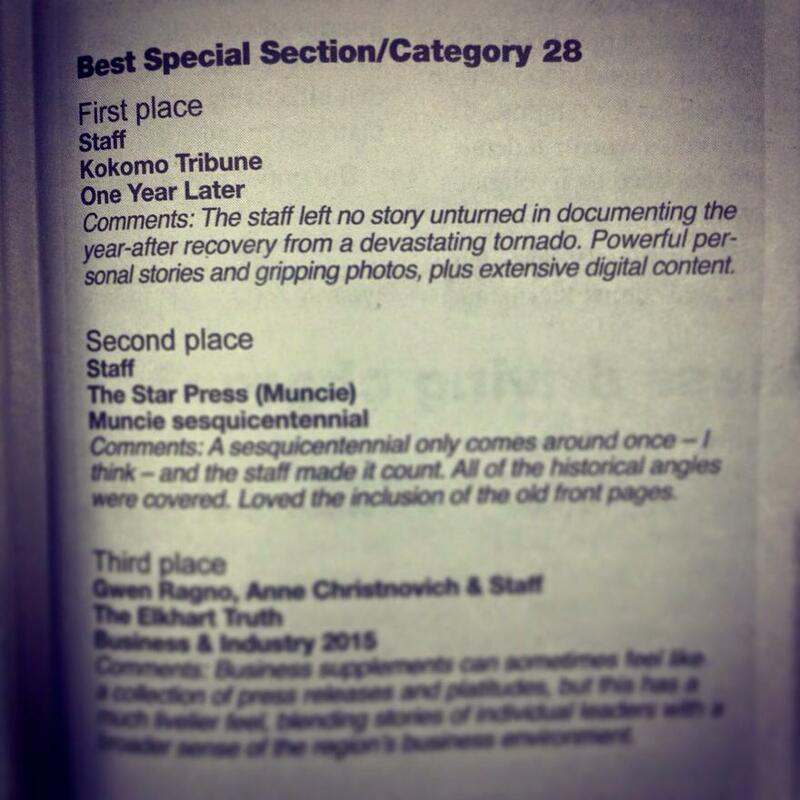 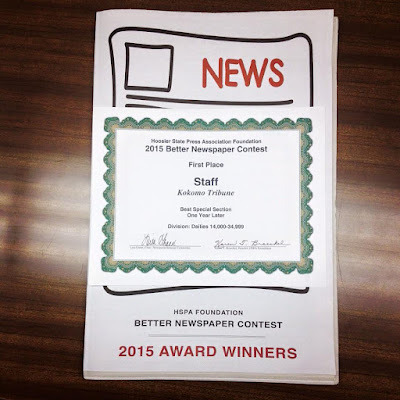 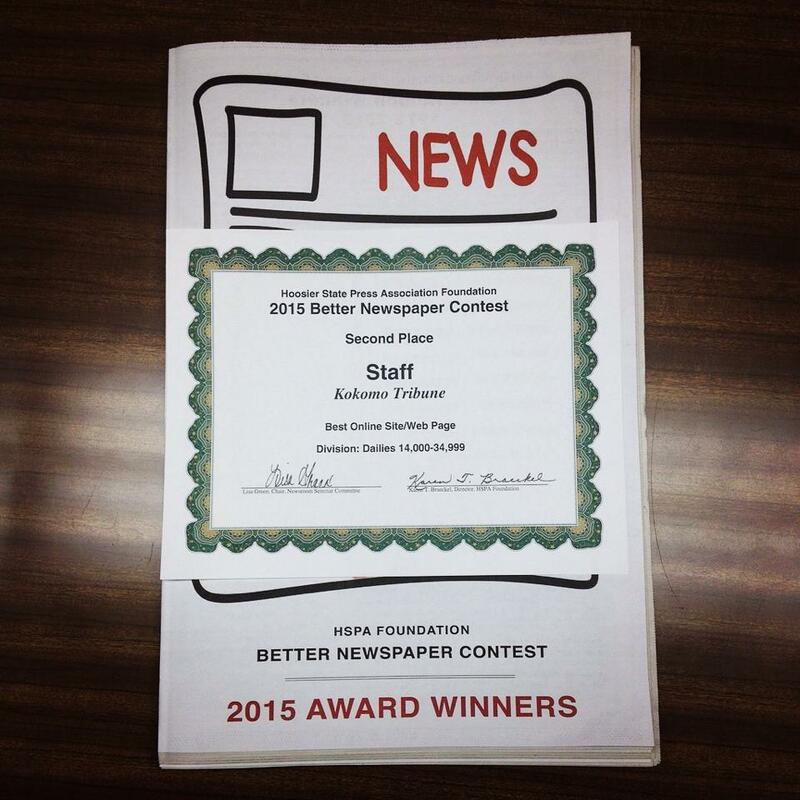 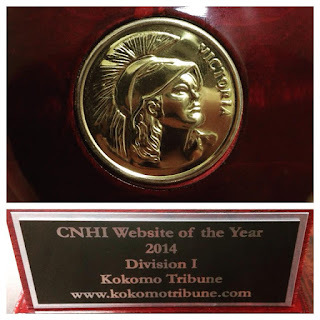 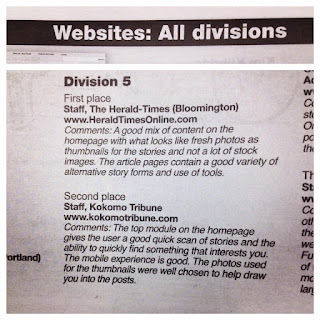 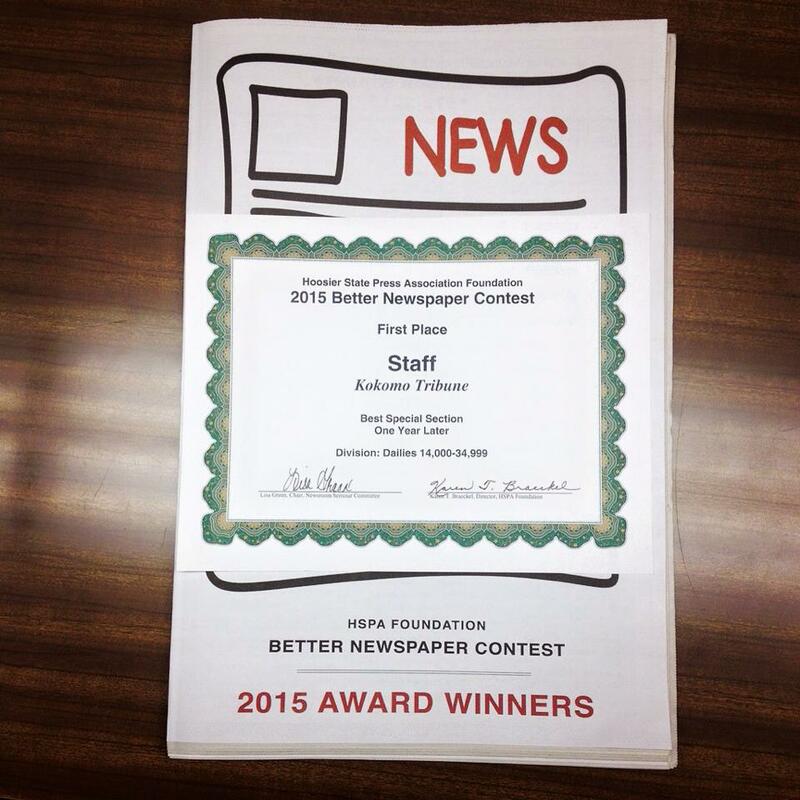 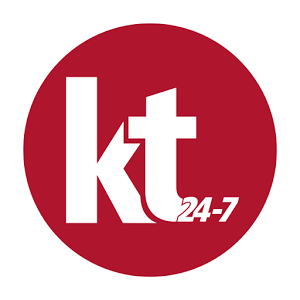 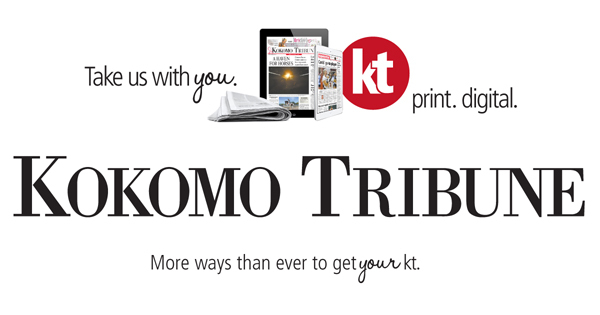 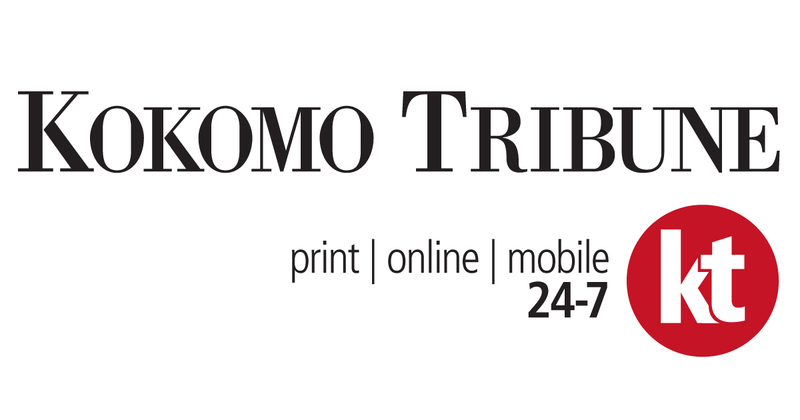 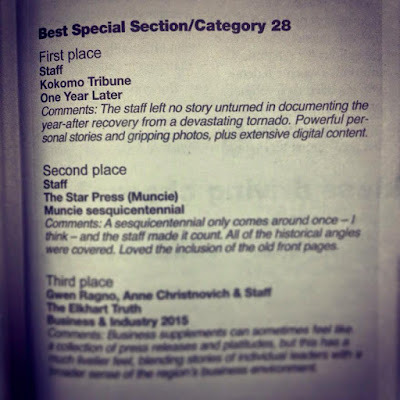 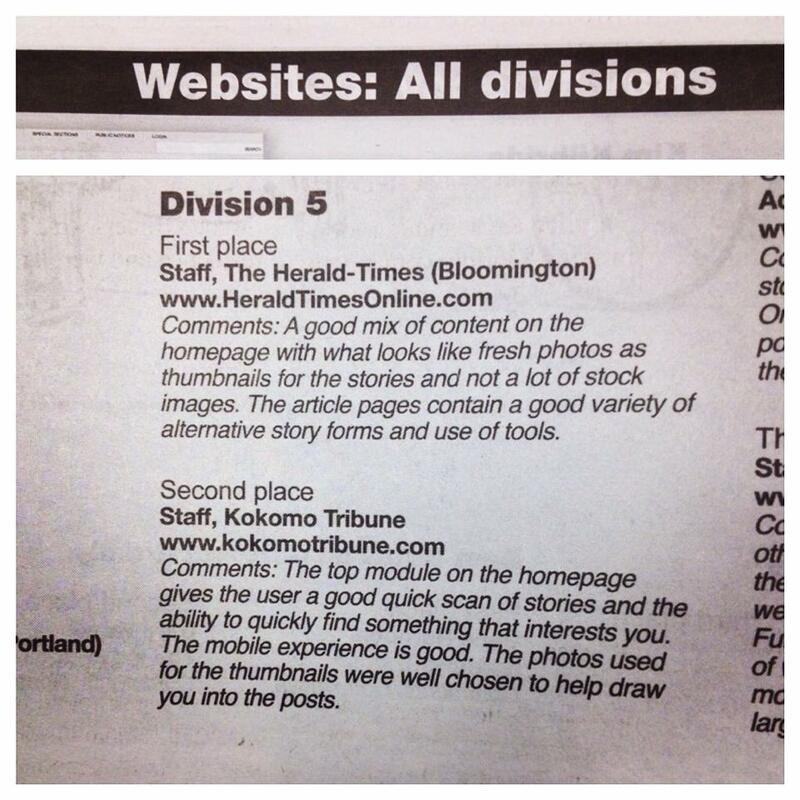 On Dec. 5, 2015 at the 2015 Hoosier State Press Association Foundation Better Newspaper Contest Awards Luncheon and Newsroom Seminar at the Indianapolis Marriott North, I, along with the rest of the Kokomo Tribune staff, won First Place for Best Special Section for Division 5, which comprises daily newspapers with circulations between 14,000 and 34,999. 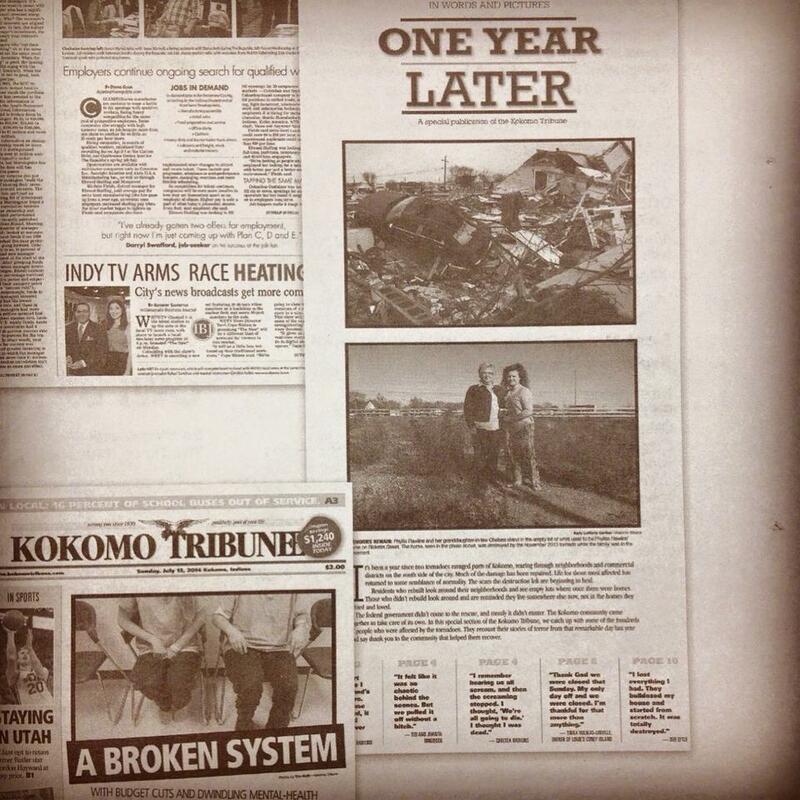 The winning entry was our Nov. 17, 2014 special section, "One Year Later." 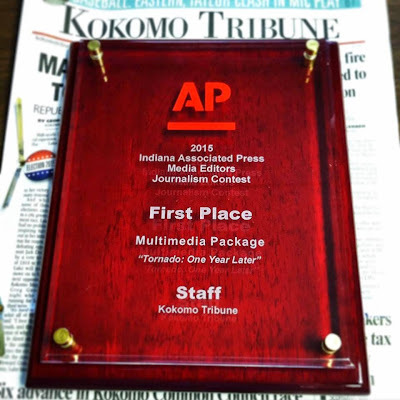 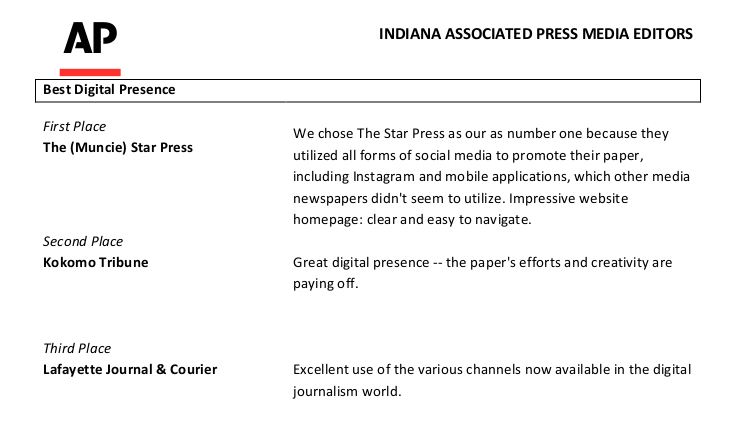 This package also won First Place for Best Multimedia Package in Division 2 at the 2015 Indiana Associated Press Media Editors Journalism Contest.